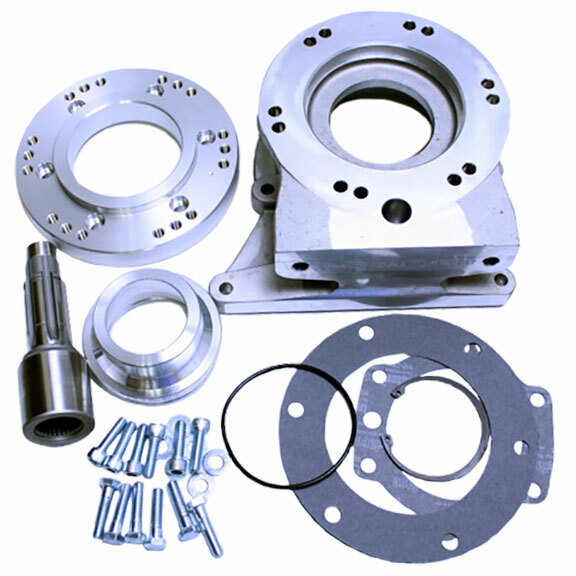 This adapter kit allows you to connect a 6R80 automatic transmission to your factory Dana 20 transfer case. The 6R80 is a common late model transmission found on 2009 and newer Fords with 3.7L V6, 5.0L Coyote V8 and 6.2L V8 engines. The 6R80 is a great option for those looking to run a Coyote 5.0L engine in their early Bronco as it is designed to mate to it.